Born and raised in Los Angeles, California, ReyRey “Stingreyrey” De Leon is a well rounded mixed martial artist since a very young age. 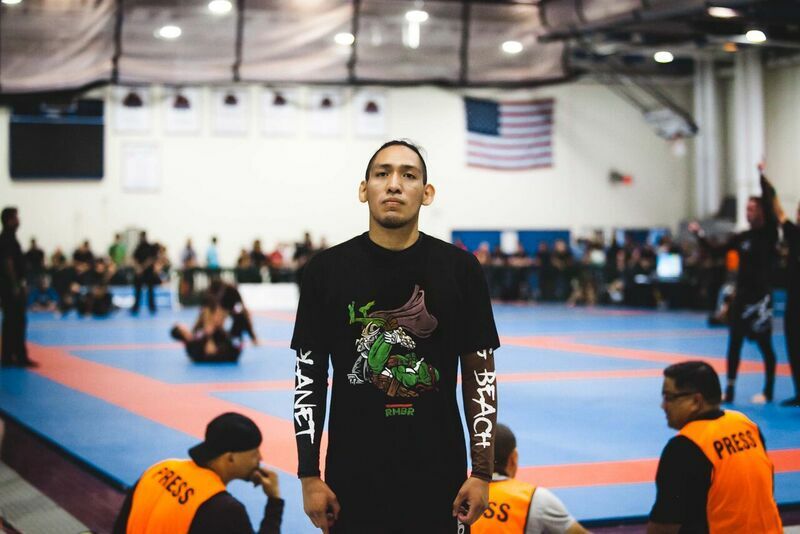 Rey is making a name for himself in the Jiu Jitsu scene competing in pro events such as Ultimate May Warriors, Rise Invitational, Fight2Win, Finishers Sub-Only, Combat Jiu Jitsu Worlds, Kasai, and competing internationally at Battle Grapple. Rey began Jiu Jitsu in the 10th Planet System and has progressed to brown belt, with all belts coming from Eddie Bravo himself. With years of Jiu Jitsu experience, he also has an extensive background in Muay Thai and MMA. He will be passing down the 10th Planet knowledge that he learned directly from Eddie Bravo having spent countless of mornings and nights at 10th Planet HQ (as seen on Mastering the System) 10th Planet New York City is in great hands. Cece Mena, born and raised in Los Angeles, CA is direct student under Eddie Bravo. at 10th Planet HQ in downtown LA. She has competed in pro events such as Global Grappling League, Rise Invitational, Finishers Sub Only. With the help and guidance of ReyRey, she has been able to achieve her purple belt under Eddie Bravo in just three years time. She plans on building a strong female team within 10th Planet New York City.